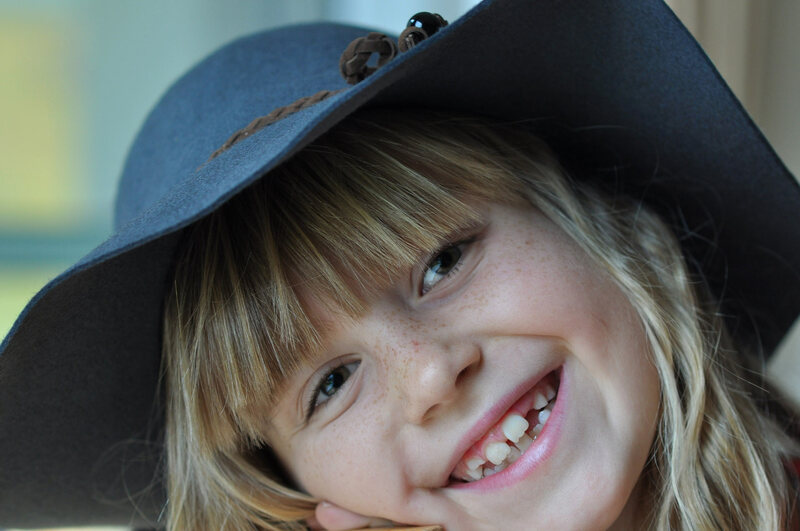 The thorough explanation of dreams about teeth falling out, crumbling, rotten or missing. Woman, 23 years, unmarried: "I have a toothache. I am touching my teeth with fingers and they all are crumbling, some even start falling out – it goes completely smoothly. I look in the mirror, but there is an old lady instead of me. She has only a few rotten teeth, the rest is missing." Loss of teeth is associated with two periods in human life. The first is growing up and the loss of milk teeth. The effort to gain independence and responsibility is substantial for this very early stage of life . The meaning can be simply explained as following: Your teeth are falling out, because you will be soon stronger than before (… it is only a temporary inconvenience before new adult teeth will grow). The second period is the old age when tooth loss mainly represents helplessness and impotence. Teeth, that are missing in the old age, are the symbol of inability to "bite" new or difficult life challenges. The meaning can be simply explained as following: Your teeth are falling out and you are loosing your strength and elegance (… no other adult teeth can grow again and everything you can do is just a "substitute"). The dream meaning must be always found according to your actual situation and with relation to other dreams. Thus, teeth falling out is not a positive or negative sign. It can be interpret mainly as a symbol of change. When you are dreaming about loosing your teeth, you probably feel insecure and going through some exceptional turning point in your life. Your teeth do not have to be falling out in your dream, it is very uncomfortable even when you feel that they are "only"crumbling. The meaning is nevertheless the same. The dream indicates that you are going through a difficult life period. Your "roots" (the very basic style of your life) can be influenced in a profound way. This process can be similar to an earthquake or to plowing a field. The house of your life can be metaphorically shaken to its very foundations. The reason can be simple: maybe you lost something (job, car, wedding ring …) or someone very important for you (love, friend, pet …). Rotting teeth often symbolize the anxiety from major shifts in your life. The dream is expressing your deep feeling: You are afraid that your life (in its current form) will fall into pieces. Whatever transformation is in front of you, you are considering it as unhealthy, disturbing or very insecure. As you see the "growing up" (positive) period and the "old age" (negative) are quite opposite in their symbolic meaning. So which one is better to prefer in my dream interpretation? Usually there is no clear advice. It depends on facts. For example: if you are loosing your job, you can often perceive this situation as "the end of the world" (you can have severe troubles paying the mortgage etc.) But all of a sudden you will find new and better job after and the whole situation seems to be the complete opposite. Frankly, you often can not say more, than the dream is just a "compass needle" of your immediate feeling and not the clear prophecy. By the way, you should always take also the simple statement into account – that a tooth in a dream is nothing more than a natural tooth. Maybe the dream is a hint to visit a dentist and nothing more. 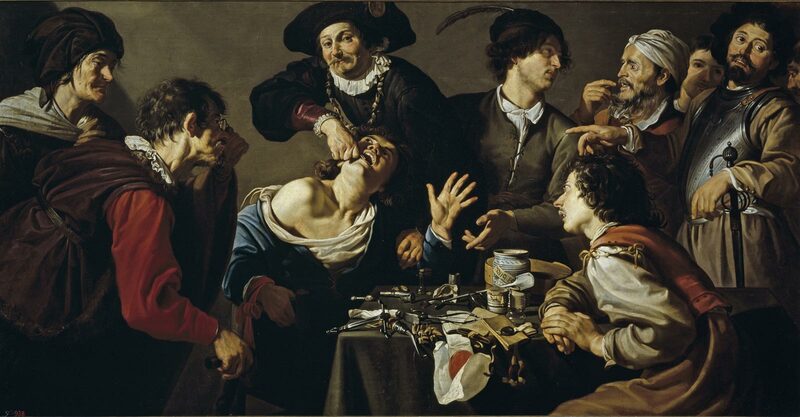 The suffering by tooth extraction in the old days. Teeth were always a very good material for carving. Big animal teeth or tusks are durable and above all they have special "aura" (a hidden power from its predecessor/carrier ). Fantastic collection of images and photographs which shows the development and some cultural differences of this peculiar discipline. Another interesting collection of images from the Georgian era. A touch of humor does not hurt. Mr. Bean goes to the dentist. He causes trouble playing with the vacuum and accidentally injects the dentist! A werewolf is a good example of how teeth can give strength to its owner. Human problems are sometimes most noticeable on someone other species. Sometimes teeth are the source of useless pain.